April 15, 2019 at 3:37 am PDT May contain affiliate links. Read disclosure. Through April 15th at Boston Market, you can score a $10.40 Half Chicken Meal which includes two sides and a fountain drink. You can get this deal with an online order in stores using this coupon. Find a location near you! Through April 15h, you can purchase a $10.40 Big Bagel Bundle at Bruegger’s Bagels when you join their Inner Circle Membership (free to join here.) 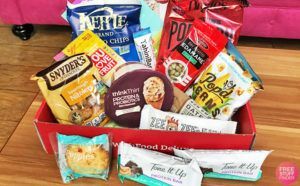 when you This deal includes 13 freshly baked bagels and 2 tubs of cream cheese. Click here to sign-up! 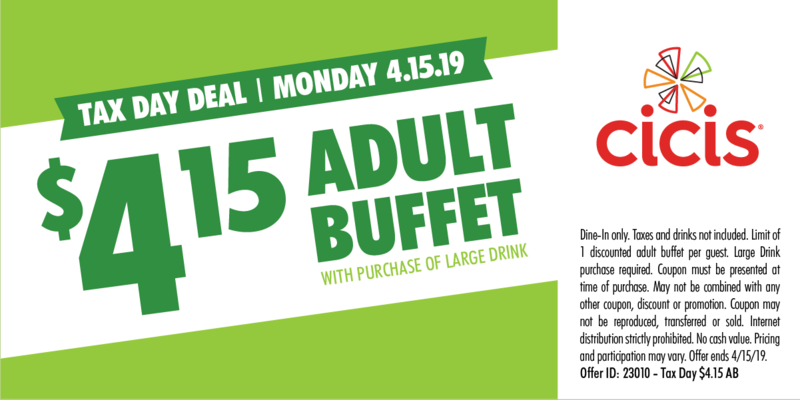 On April 15th only, you can get an Cici’s Pizza adult buffet for JUST $4.15 with the purchase or a large drink when you present this coupon. Please note this is for participating locations only, find your nearest Cici’s here. On April 15th, Dunkin’ Rewards Members (free to join) can get a medium hot or iced coffee for only $1 all day long! 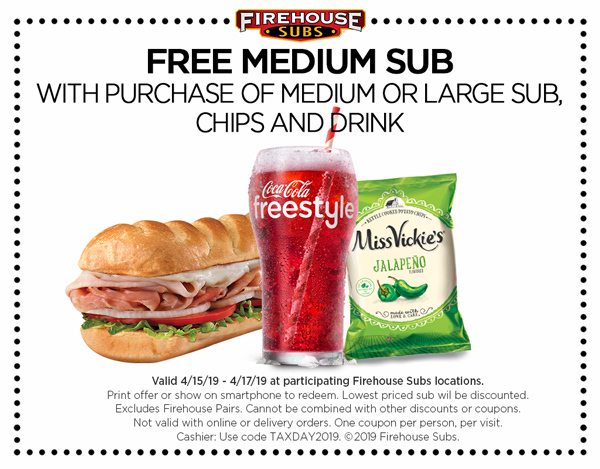 From April 15h-17th at Firehouse Subs, you can present this coupon for a FREE Medium Sub with the purchase of a medium or large sub and drink. Find a location near you! April 15th from 7-10AM, stop by a participating Hardees location and you can snag a FREE Sausage Biscuit with no purchase necessary! Get a FREE Original Turkey or Veggie Dog at Hot Dog on a Stick on Monday, April 15th only! Find a store near you here. April 15th only, get a FREE Cup of Shaved Ice at Kona Ice! Yum! Get a FREE Menchie’s $5 Frozen Yogurt when you download to app by April 15th! Simply download the app, register or log in and the reward will automatically be loaded to your account. Get a FREE small Original Sandwich with the purchase of a medium drink and chips at Schlotzsky’s on April 15th only! This deal is available at participating locations only, check your local stores here. April 15th-18th at Smoothie King, get $2 off ANY smoothie when you download the Healthy Rewards App! Hi Valerie! Hopefully some of the ones I have listed will be available in your area.